Is your iPod not playing? 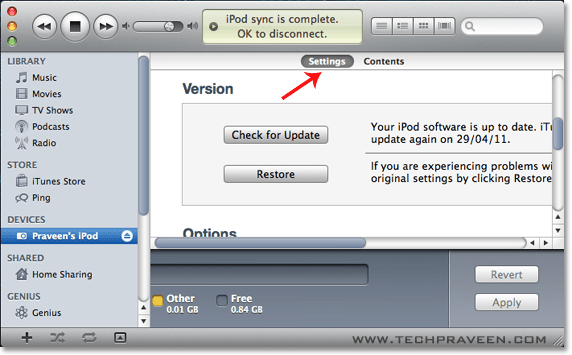 Want to restore your iPod factory settings as before? Then this article will be very useful for music lovers. Restore erases the disk and restores iPod shuffle to its original factory condition with updated software.Before starting restore process, make sure to back up any files you’ve saved on iPod shuffle. 1. Download and install the latest version of iTunes. 2. Open iTunes and connect iPod shuffle to your computer or Macbook. 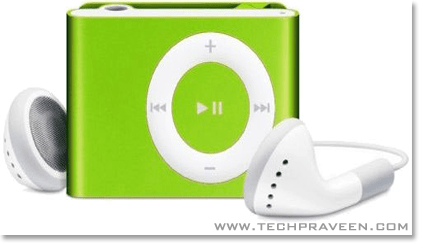 3. iPod shuffle will appear in the Devices section on the left side of the Tunes window. 4. Select iPod shuffle under Devices and you will see information about it appear in the main iTunes window under the Summary tab/button for iPod shuffle (3rd and 4th generation) or the Settings tab/button for iPod shuffle (1st or 2nd generation). 5. Click the Restore button. You will be presented with one or more restore options that may prompt iTunes to automatically download the latest iPod Software. 6. If you are using a Mac OS X, a dialog box will be prompted to enter an administrator’s name and password. 7. A progress indicator will appear please do not disconnect iPod shuffle during the restore process. 8. After the restore process is complete, the iPod shuffle’s status light will flash orange continuously. The iPod Setup Assistant window will appear asking you to name your iPod and choose your syncing preferences as you did when you connected your iPod shuffle for the first time.